The Northern elders on Saturday floated a new group the Northern Political Leaders Forum (NPLF). The group is aimed at enabling the region take its destiny in its hand ahead of next year’s elections, especially the presidential poll. The group emerged at a meeting of the Northern Elders’ and Stakeholders Conversation co-convened by a former national chairman of the Peoples Democratic Party (PDP), Dr. Bello Mohammed; former Deputy Senate President Ibrahim Mantu; and Second Republic Senator, Paul Wampana. 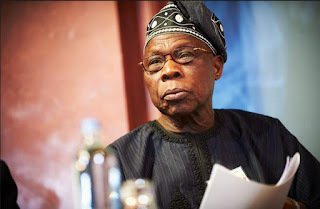 It was gathered that the group was formed as the north’s direct response to former president Olusegun Obasanjo-inspired Coalition for Nigeria Movement (CNM) and its main goal is to have a northerner rule Nigeria in 2019. The elders appointed Dr. Umar Ardo as NPLF’s Secretary and Commodore Isaac M Mankilik (rtd ) as Deputy Secretary. In a statement, the group also agreed to hold a Northern Political Summit on 15th March 2018. Former PDP chairman, Bello Mohammed speaking on new group said “From what is apparent in the political arena today, it is clear that the major political operators have agreed that in the forthcoming 2019 General Elections, it is the turn of the North to produce the president. “And what we can see in the political arena is that most political operators have agreed that the political leadership of our country should be zoned to the North according to our Constitution with regards to zoning and rotation. But from what we have seen earlier, it has always been zoned to the North but the decision on what to do and who to be has never been a Northern decision. “What we observed is that the same trend is starting now. We have seen all kinds of movements coming up. If you look at what is happening now and remember what happened when it was the time of the North to produce president, President Umaru Yar’Adua of blessed memory was produced but was he really a Northern choice? At the end of the day, Yar’Adua had mishap and lost his life in the process and somebody else was also chosen, his Vice President. “We knew the struggle that went on when it was decided that the presidency should leave the North. It wasn’t the northerners who decided that the Presidency should leave the North. We had to follow the bandwagon. “The same thing happened in 2015, the North voted for the northern candidate but the decision on who should be the candidate wasn’t a northern decision. What we want is that this time around; with the new group let us have the opportunity to come together so that whatever is decided for the North, it is the Northern leaders who decide it and then we get support from other regions.